First off, thanks to Gamers Gate for the free review copy. 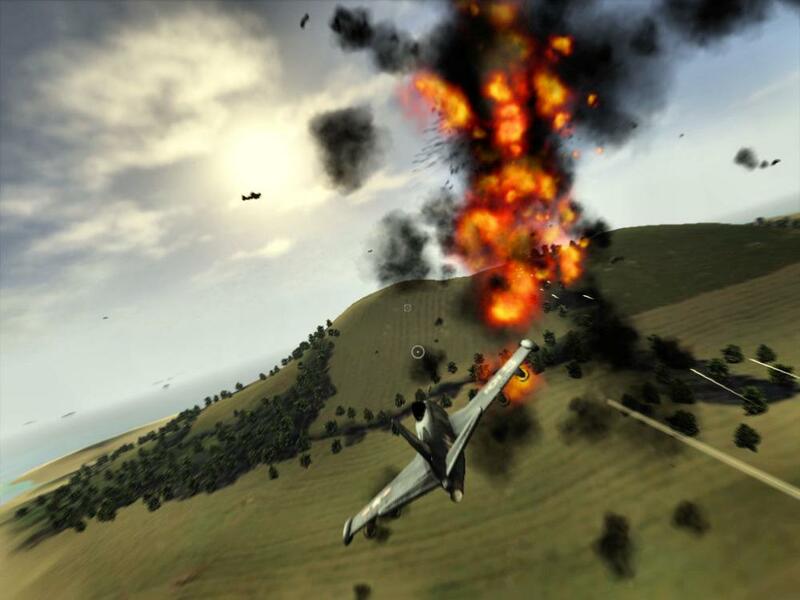 Air Aces Pacific is an air combat simulation developed by Wastelands Interactive. You may imagine, from Wastelands\' description of the game, that the game is truly innovative, realistic, and groundbreaking. I suspected otherwise, but hoped for the best. ...I hate it when I\'m right. The first thing I have to mention is that the game is full of bugs. These may be fixed with future patches, but the crashes became so frequent that I could not even load the game after playing it for less than three hours. I couldn\'t decide between being depressed or infuriated. For this reason, I cannot give a full review of the game, but I can write what I know. Air Aces: Pacific takes place during World War II, and you are a pilot running missions in American military operations in the Pacific Ocean. You may pilot several different planes (I only managed to fly the first one, of course. The game broke too early into it to progress any further into the game.) and you are armed with machine guns, missiles, and torpedoes. You fly through several environments; these all began to look the same after a mission or two, though. You fly over a few islands and the ocean; during the next mission, you fly over islands and the ocean. Oh, but one time you fly through a thunderstorm. Too bad every lightning bolt looks exactly the same. That does, however, segue nicely into the segment about Air Ace\'s graphics. Strong Points: Fun concept of taking off/landing on an aircraft carrier to start your missions. Weak Points: Technical issues abound; poor graphics for a modern game and for how its realism is touted; monotonous missions; no real story or plot; costs $50 for shoddy work. Moral Warnings: Game takes place during WWII and you must shoot down enemy planes. The graphics, despite the tremendous claims of realism, give me the impression that I was playing a flight simulator from 2001. Every time you fire the machine guns, the entire screen lights up slightly. This comes in handy when you\'re flying through a thunderstorm and your bullets light up the sky, revealing every enemy plane within sight. Realistic, though? I think not. When you fly close to the water, you may notice that it looks, well, terrible. I could probably run this game by plugging in my N64 to a keyboard and mouse. Speaking of realism, I also wasn\'t aware that a propeller-powered WWII-era plane could fly straight up at speeds of around 150 miles per hour indefinitely. I was also wondering how you could repair your plane nearly instantaneously by just lightly touching down on an aircraft carrier. 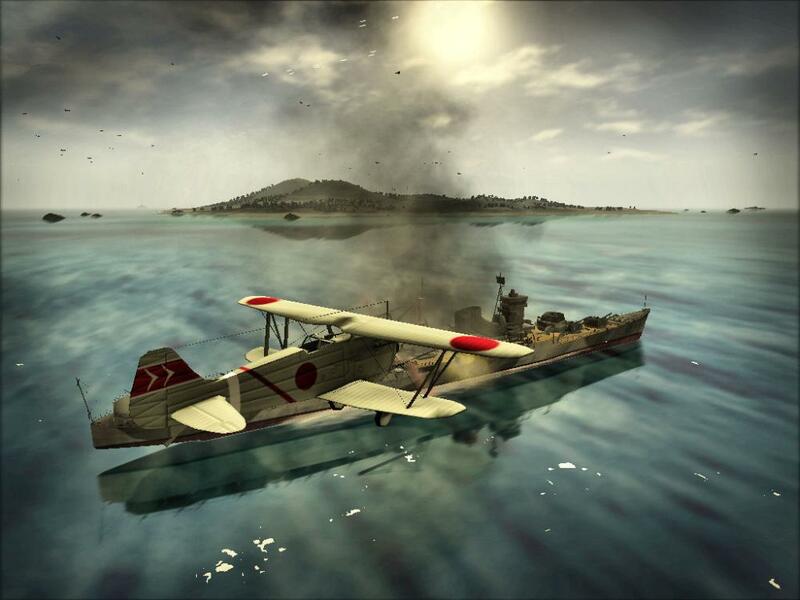 The enemy planes you shoot down don\'t follow a slightly altered downward arc as they spiral to the ocean; instead, they explode and fall straight downward. The controls are fairly easy to control until you have to come to actually land your plane. I never really caught on to how to land the plane and really based my landing skills (lack thereof) on dumb luck. Flying itself, though, was easy for me after I got used to the controls. You can use just the keyboard (as I did) or the keyboard and the mouse to pilot your plane. You start each mission on the deck of an aircraft carrier and must return to it to complete the mission. You can head back to the carrier at any time to repair and reload by simply touching down on the deck for a moment and taking off again. It was really quite simple (aside from my numerous failed landing attempts) even to someone unfamiliar with 3D flight simulators. It felt pretty natural; there are keys to accelerate, decelerate, turn, bank, etc., and I liked just flying around for the fun of it. It did, though, take me a while to learn to maneuver enough just to avoid getting shot, let alone shooting enemy planes. On a positive note, the game is fairly clean. As far as I could play through, there was a tiny bit of minor language in a plane named the "Hellcat." I couldn\'t play through very far, though, so there may be more. As a pilot in WWII, you have to shoot down other pilots and you have the option of using your torpedoes and missiles to sink enemy ships, but there is no blood or gore. I really could not play through that much of this game due to its innate bugginess that led to it being rendered unplayable. It ended up being one of the worst games I\'ve had to play. I guess it was nice that I got to play it for free, but it wasn\'t worth the effort to try to get it to work. Don\'t pay the astonishing 50 dollars for this game; it was bad enough without paying anything.